At this time of year in the Northern Hemisphere we are called to embrace the darkness. Nighttime rules, the cold has set in and we curl up for the long winter nights with our hot beverage and an anticipation of the messages found in our dreams. There are certain animals which stand out as guides for us during this time of cold, long nights. Reindeer of course comes to mind by all of their associations with Christmas, Santa Claus and gift-giving. Northern European goddesses such as the Antlered Ukrainian Winter Goddess Rozhanitsa; Saule, Lithuanian and Latvian Goddess of Sun and Light; and Beaivi, Sun Goddess of the Sami all flew through the sky with their flying reindeer on the winter solstice bringing the gifts of light, life and nourishment to the people. Long, long ago when Earth was colder and reindeer were widespread, the reindeer was of utmost importance to the Northern European people. The female reindeer was honored as the life-giving mother, the leader of the reindeer herds on which they depended for their survival. Reindeer gave everything – milk, food, clothing and shelter. Ancient art usually depicts the reindeer flying or leaping through the air. Her antlers were often drawn as the tree of life full of birds and/or the sun, the moon and the stars. Siberian shamans and their reindeer ingested the hallucinogenic Amanita Muscaria mushroom to facilitate a vision quest. Most of these shamans were women who together with their reindeer took shamanic flight on the longest night. These female shamans originally wore red and white costumes and horned headdresses or red felt hats. Together they flew into the upper realms, the realm of spirit. They brought back not only gifts of light, life and nourishment but also spirit gifts to help the people in the growth of consciousness and the creation of a healthy community. Another animal we are drawn to during the long nights of winter is the owl. Owls, generally active at night, are connected to the dark of night, the moon, and the feminine. Owls with their large black eyes can see deeply into the dark, discovering the wisdom of the soul. They are creatures of magic and mystery. All around the world owls are seen as either harbingers of death – at home with darkness and negativity, or as beings of wisdom and prophecy. Some cultures even associate owls with fertility. The ancient Welsh believed that if a pregnant woman heard the hoot of an owl then she would have an easy labor. Owls have long been associated with the Goddess. The owl as a creature of wisdom is well illustrated in the story of Athena, Greek Goddess of Wisdom. She was often depicted with an owl on her shoulder, aiding Athena to make wise choices as the protector of state and social institutions, of agriculture, and the patron of both functional and fine art. Owl revealed the unseen to her, allowing her access to full wisdom and truth. 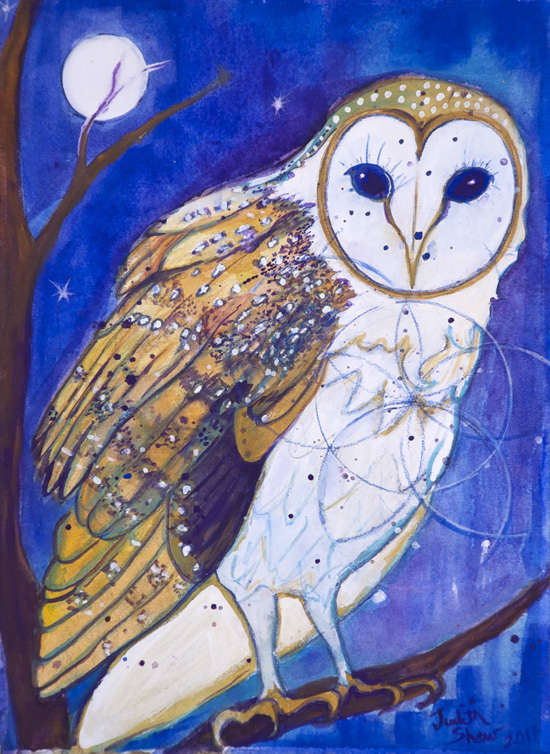 Owl was associated with the Celtic Goddesses, Blodeuwedd and Arianrhod. Blodeuwedd, created by man for man, ultimately claimed her own desires with the killing of her husband Llew. She was punished by Llew’s father and her creator, the magician Gwydion. He turned her into an owl, in which form she lived on as a Goddess of Life and Death. The Cherokee, a Native American tribe of the American Southeast, believed that owl and cougar watched over Earth during the seven days of its creation. Owl, whose healing medicine could help cure, was considered a spiritual consultant in matters of illness and punishment. The Cherokee also associated owl with death due to its nocturnal nature and white otherworldly appearance. Yet through owl’s association with healing they believed that healers with “Owl Medicine” could help people on their deathbeds by entering the dreamtime and exploring visions of the future. We generally fear both the darkness and death. Thus as nocturnal creatures, owls spawn negative feelings in some cultures. In Mexico the owl is feared – if one hears the hoot of an owl then death is most likely near. The Pueblo people associated owls with witches who were believed to have the ability to transform into an owl and fly through the night casting evil spells on people. But by focusing on the wisdom of the ancients who recognized the unity of dark and light we can reach a positive understanding of owl wisdom today. Owl symbolizes perception and deception – quiet observation and wisdom. Owl is a harbinger of death through which we find the passage to new life. Owl with its large, all-seeing eyes peers deeply into the nature of reality, seeing what others fail to note. Owl, in the dark of night, in the dreamtime, gifts us with its all-seeing vision, opening our eyes to the truth of each situation. During this time of long nights open yourself to your own dream visions. Allow reindeer into your heart with the knowledge of her gifts, both physical and spiritual. Find Owl in the deep dark night and use its wisdom to deepen your own understanding of truth. You might even take flight with reindeer yourself and discover owl riding along in her antlers. Judith Shaw, a graduate of the San Francisco Art Institute, has been interested in myth, culture and mystical studies all her life. 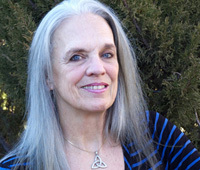 Not long after graduating from SFAI, while living in Greece, Judith began exploring the Goddess in her artwork. She continues to be inspired by the Goddess in all of Her manifestations. 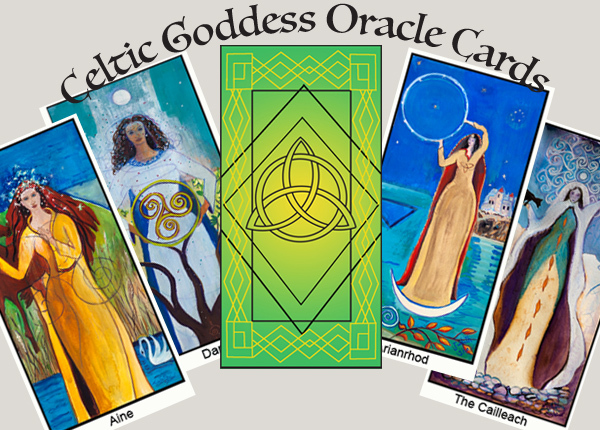 In recent years Judith became very interested in the Goddesses of her own ancestors, the Celts, creating a deck of Celtic Goddess Oracle Cards. Originally from New Orleans, Judith now makes her home in New Mexico where she paints as much as time allows and sells real estate part-time. Give yourself the gift of one of Judith’s prints or paintings, priced from $25 – $3000. Your picture of the reindeer gave me such a feeling of lightness and freedom, Judith. Inner joy and freedom, with great wisdom, are so much needed especially in these days. That’ so true – seems like the only refuge is within these days. Glad you like the reindeer. I started that painting last year around the Winter Solstice and continued working it until mid-February. Then the season changed and I could not really get into it. December rolled around again and I managed to finish it. Thank you so much for reminding us of these wonderful connections and insights, Judith. Owl recently came to me in a vision/shamanic journey as I stood (in the journey) near Assos, Turkey overlooking the Aegean toward Lesbos I remembered that the site where I stood is the temple to Athena. So Owl’s visit made sense to me. Now I have a much fuller understanding of how Owl may be helpful, which I had missed earlier. Sounds like a very powerful journey. Lesvos is a place of deep connection for me so I can understand how viewing the island could stir ancient memories. Love it! Beautiful post and beautiful art. When our local Eyewitless News (no, that’s not a typo) reported the progress of Santa across the world on Sunday, the girls “manning” the news desk remarked that the reindeer with antlers were female. By the tone of their voices, you’d think they were reporting on an earth-shattering discovery of some kind. I just sat there and thought, “Why doesn’t everyone know about female reindeer and shamans?” I once wrote a piece in which I said Santa was a shaman. You can tell because he’s fat (a food provider), he wears the sacred colors of red and black and white, he lives beyond the north star, and, yes, he’s got those female reindeer pulling his magical sleigh. Lots of people said they didn’t believe it. Some people wanted Santa to be one of the Three Wise Men. In disguise?? Judith, many thanks for writing this post and for your beautiful art every month. So beautiful, Judith! I wonder if there might be a sacred animal deck in your future! I have been meaning to write to you (then got caught up in holiday chaos) to say that the gorgeous Celtic Goddess Oracle Card arrived safely. Let me take this opportunity to thank you publicly for their beautiful wisdom and to recommend them highly to FAR readers! You are quite the psychic. I had thought I would move on to sacred trees or perhaps a children’s illustrated tale of one of the Celtic tales (which still will probably happen) but I seem to have been called to sacred animals and animal guides first. Hope to be able to focus more consistently this time and come to completion sooner than 5 years. I’m so happy you are pleased with the deck. I’ve been using the cards myself. I know they came through my heart, mind, soul and hands but now it feels like an independent entity which I had no part in – kind of strange. 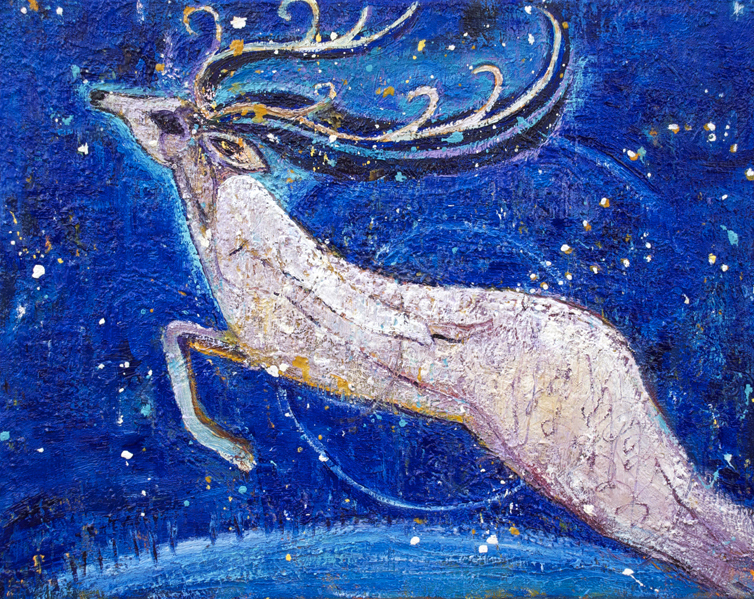 Love that image you share of the reindeer’s antlers “often drawn as the tree of life full of birds and/or the sun, the moon and the stars.” Your paintings always filled with mystery and delightful life energy, so beautiful, thanks Judith. I was so glad that the deck of Oracle cards arrived before Solstice so I could share them with my circle. Not surprisingly, they loved it!! Yes, please do a deck of magical creatures too. Your work is simply so stunningly beautiful, so insightful. Thank you for sharing it with us. So good to hear that your circle enjoyed the deck. Elizabeth hit the mark with her wondering. Sacred Animal Spirit Guides is next. I also love your reindeer painting and wish i could just jump on that reindeer’s back and fly through the night… these starry nights that are so magical. Strange how those things that challenge us the most are what often give us chance for growth. Though when one is deep in the challenge it is sometimes hard to remember that, right…. Two days after I finished that painting I left for a trip to Brazil, where it is summer. It felt odd to leave those starry magical nights of winter behind for the exuberance of summer – but not too hard to adjust.